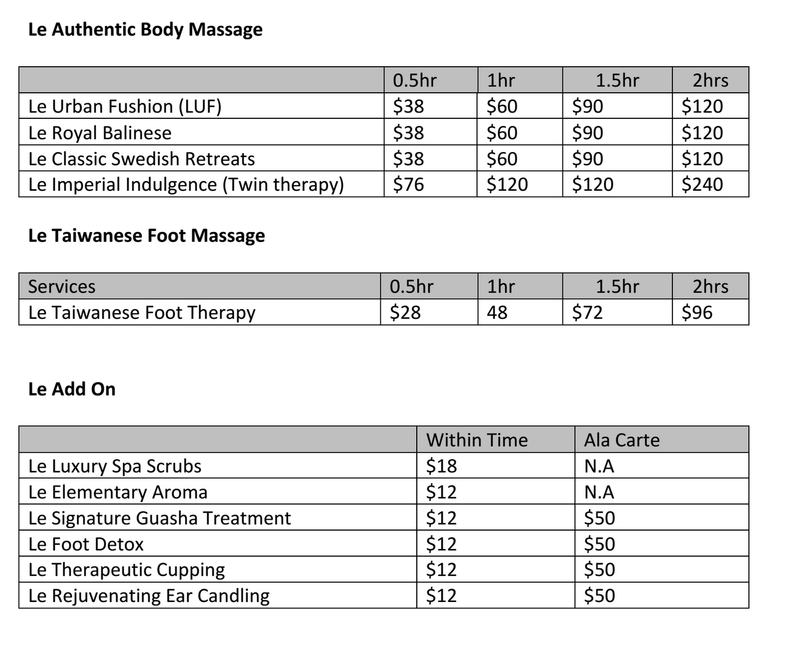 Feeling stressed out because of your hectic life at school or work? Let Le Spa solve this problem! 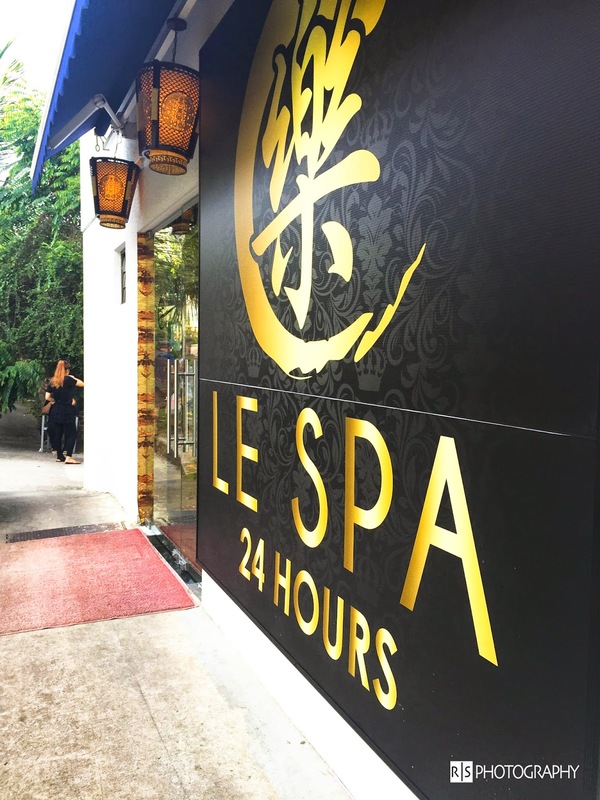 Founded in 2013, Le Spa is a 24-hour massage sanctuary. 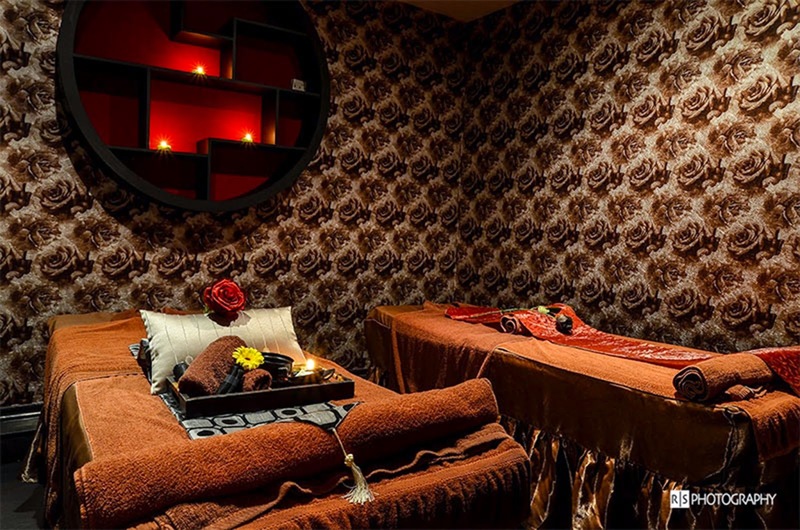 Le Spa provides the avenue of releasing stress and bringing joy with its wide range of in-house therapies and massages. 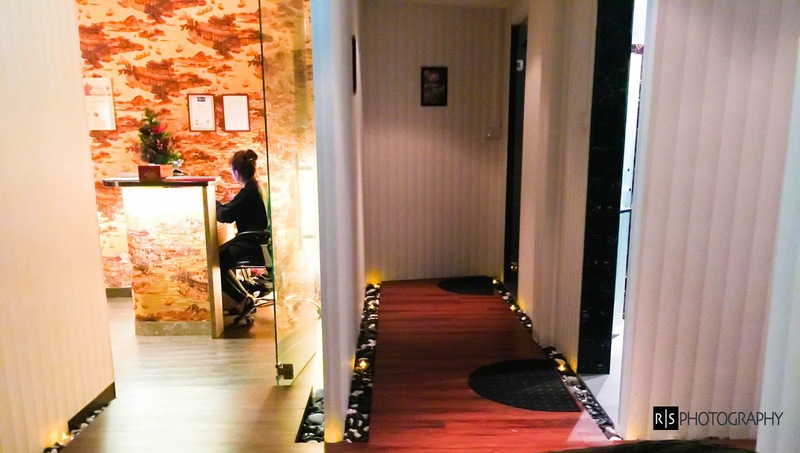 The interiors of Le Spa is tastefully decorated, presenting a classy ambience that intrigued me deeply. 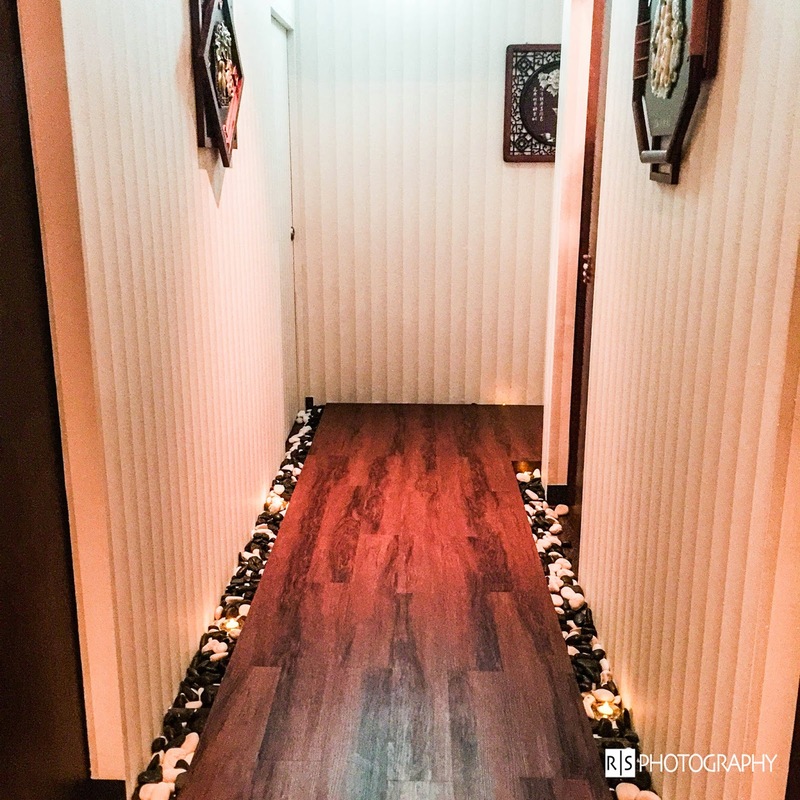 It also offers a variety of add-on treatments such as the luxury spa scrub, ear candling, aromatherapy and slimming massages! Went to their newest outlet @Bukit Timah and I must confess, I really enjoyed my time there! They are very efficient and there was little/no waiting time at all. I felt instantly relieved and soothed just being in Le Spa as the place is like seventh heaven. I did Le Spa's Classic Swedish Retreats for the 1.5 hour session and I must say that it was really superb! They started off by using a hot wet towel to clean my feet ( which felt so good and relaxing ). Next, they started pressing different pressure points to relax the body before massaging. After they are done with one body part, they will get another hot wet towel to cover it up and then cleaning the oils off. The hot wet towel actually really makes a difference! Say no to leaving spas with an oily body! The masseuses were very thoughtful and polite. They will always check with you if the pressure is okay and thank you for responding to them. 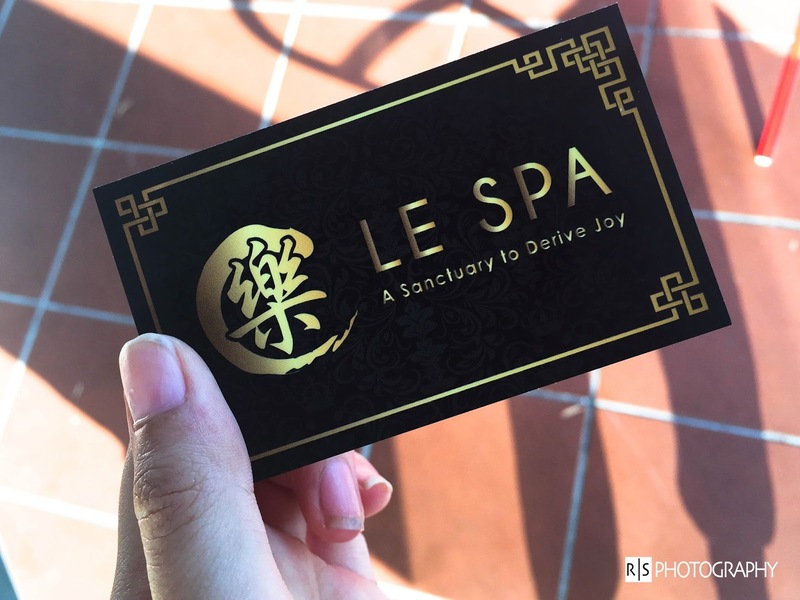 Thank You Le Spa for inviting me for the wonderful massage session!